In recent years, the major European Telecommunications Service providers have started their services on the basis of new technological background. In the frame of this project, complete replacement of traditional infrastructure of Magyar Telekom's PSTN network will be replaced by Multi-service access node (MSAN) equipment, in order to provide the POTS, ISDN and broad- band (e.g. xDSL) services in a single, common platform. This technological change however has raised a number of new problems installing and maintaining of the MSAN based copper networks. This is basically because in this environment, containing brand new network elements, numerous pre-existing maintenance auxiliary information will disappear, therefore, e.g. the process of line identification had to be placed on a completely new basis. For handling and solve all these problems, Magyar Telekom (Hungarian Telecom) have launched the project "Further development of maintenance and test equipment background at MSAN based networks". 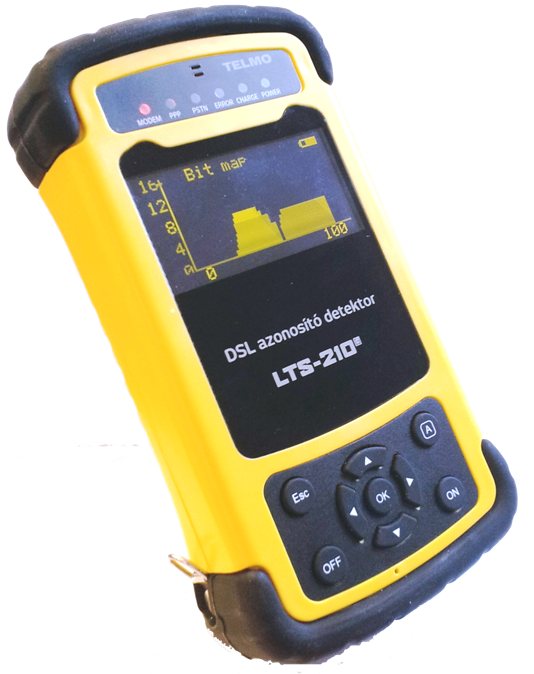 One of the most important results of this project is the LTS-210 Service Recognizer DSL Tester, which is the newest member of the LTS test instrument family that have been introduced more than ten years. This device, which was purchased almost half a thousand pieces since its release, has become a basic tool for efficient solving the daily installation, maintenance, and troubleshooting tasks of Magyar Telekom's national network.